Canon has released its financial results for 2Q 2018. You can download the results, presentation material and speech summary here. Also available for download is a Notice Regarding Retained Earnings Dividend. 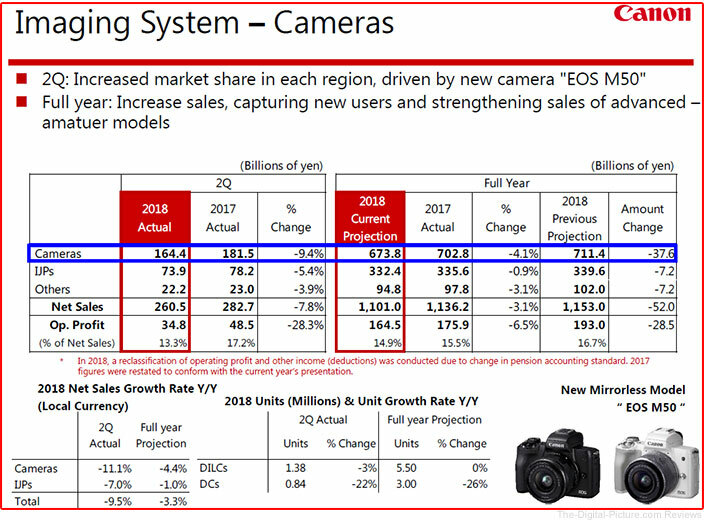 From the looks of it, camera sales have slipped considerably compared to this quarter last year leading to a lower operating profit (displayed below), but Canon projects only a 4.4% decrease in sales growth over the entire year.